Diane Driedger is a poet, writer, visual artist and educator. Her first poetry book, The Mennonite Madonna, was published in 1999. She is author of the Last Civil Rights Movement: Disabled Peoples’ International, and editor or co-editor of four anthologies by women with disabilities, including, Living the Edges: A Disabled Women’s Reader (2010). Driedger was awarded the Inuagural Tanis Doe Award for Distinction in Disability Study and Culture from the Canadian Disability Studies Association in 2009. She lives in Manitoba and is Assistant Professor in Disability Studies at the University of Manitoba. 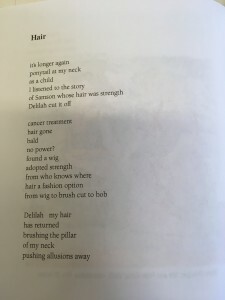 “I wrote the poem, Hair, after I had surgery, chemotherapy and radiation for breast cancer 11 years ago. When I started cancer treatment I was afraid of losing my hair, but in the end, when I lost it, I learned that I was not my hair. My hair may fall out, but I’m still the same person. And my hair grew back! 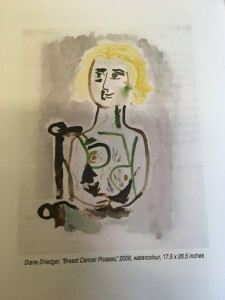 I painted Breast Cancer Picasso after my breast cancer treatments. 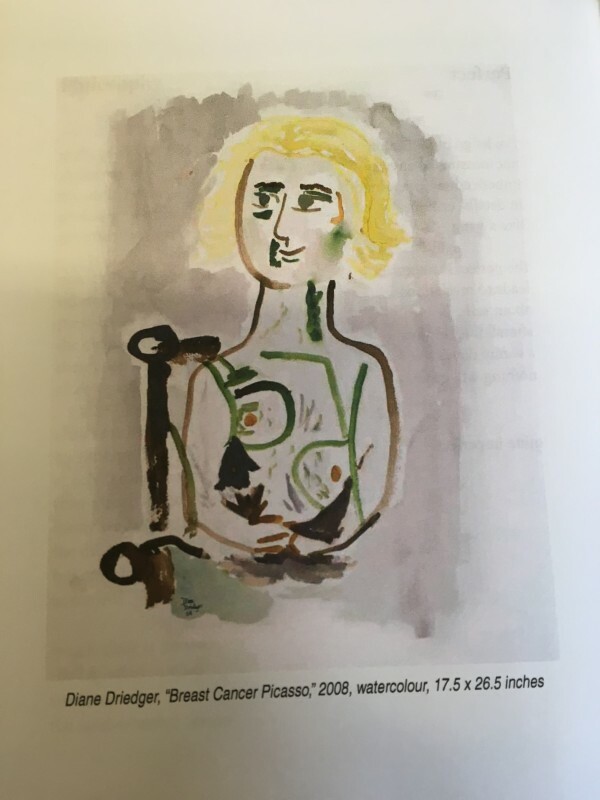 While leafing through a book of Picasso’s paintings one day, I noticed that one of Picasso’s paintings portrayed a woman who resembled a woman with a lumpectomy, In my painting, I substituted my face on a copy of Picasso’s original body. In essence, I am saying that the altered body is still a piece of art, it just depends on how you look at it.